Undocumented Luis Mora was held in Immigration and Customs Enforcement custody and detained at Otay Mesa Detention Center for two weeks and is now being featured in a documentary that will chronicle his experiences during and after detention. A petition to reinstate attorney Prerna Lal in their position at the Undocumented Student Program started Feb. 14 and has received 732 signatures out of its 800-signature goal as of press time. Campus junior Luis Mora was released Wednesday from Otay Mesa Detention Center after being held for more than two weeks by Immigration and Customs Enforcement, or ICE. Will you allow us to live as human beings worthy of life like any other American, or will you turn us away because our lives are not worth as much as yours? Following the detention of two UC students by Border Patrol and Immigration and Customs Enforcement, or ICE, the California Latino Legislative Caucus wrote to ICE to request their release, according to a tweet published on Tuesday by Assemblymember Lorena Gonzalez Fletcher. 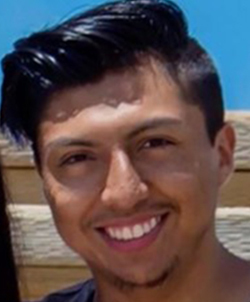 A bond hearing has been scheduled for Jan. 17 for UC Berkeley junior Luis Mora, who was recently taken into custody by Immigration and Customs Enforcement, or ICE, according to a tweet from Mora’s attorney.